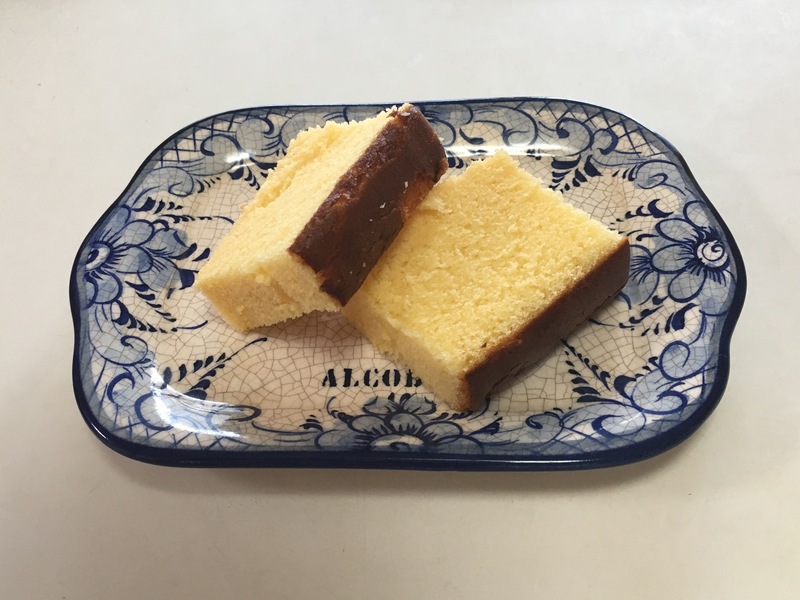 I had Castella or Kasuteta (Japanese cake) for breakfast. This is simply made of flour, eggs and sugar. This dessert was brought to Japan by a Portuguese missionary in 16th century. We call it Castella, but there isn’t any dessert like this in Spain; we don’t know the origin of this dessert. Today, we eat pancakes and waffles for breakfast so I can eat this dessert which is made of flour, eggs and sugar for breakfast, right? I’m getting board doing the same routine everyday: go to office and return home. It was a nice day to walk in a light breeze. I walked from Shonagawa to home. It was 4.5 km journey and fun. There are a quite numbers of shrines and temples standing between buildings. There is a Japanese traditional archery shop next to a temple, selling Japanese traditional archeries in Tokyo! There are many interesting shops and restaurants on the way home. I stopped by at a supermarket, Lincos. It was a small adventure. 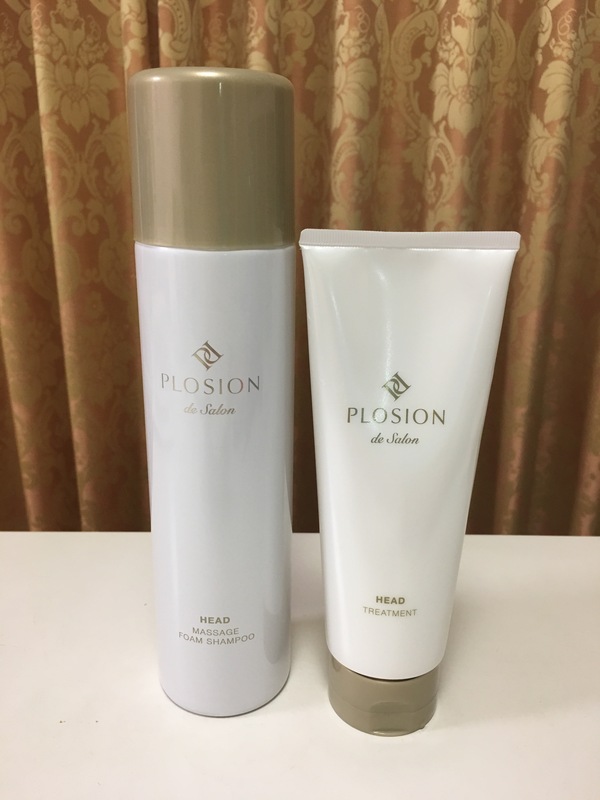 This series of shampoo and treatment allows me to enjoy head spa at home: Plosion de Salon. 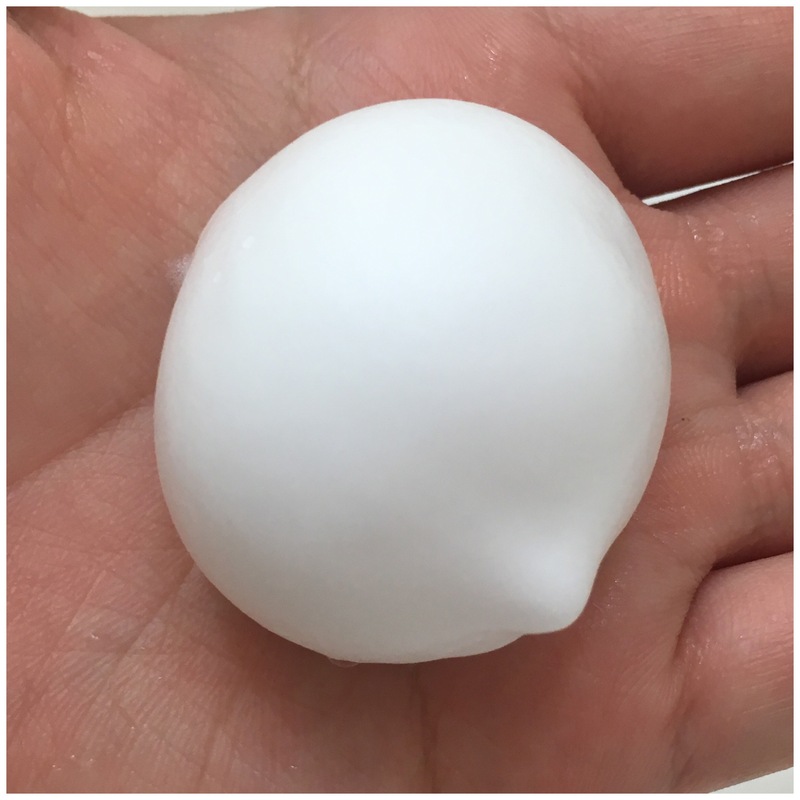 As labeled on a bottle, shampoo is in carbonated foam to massage scalp. 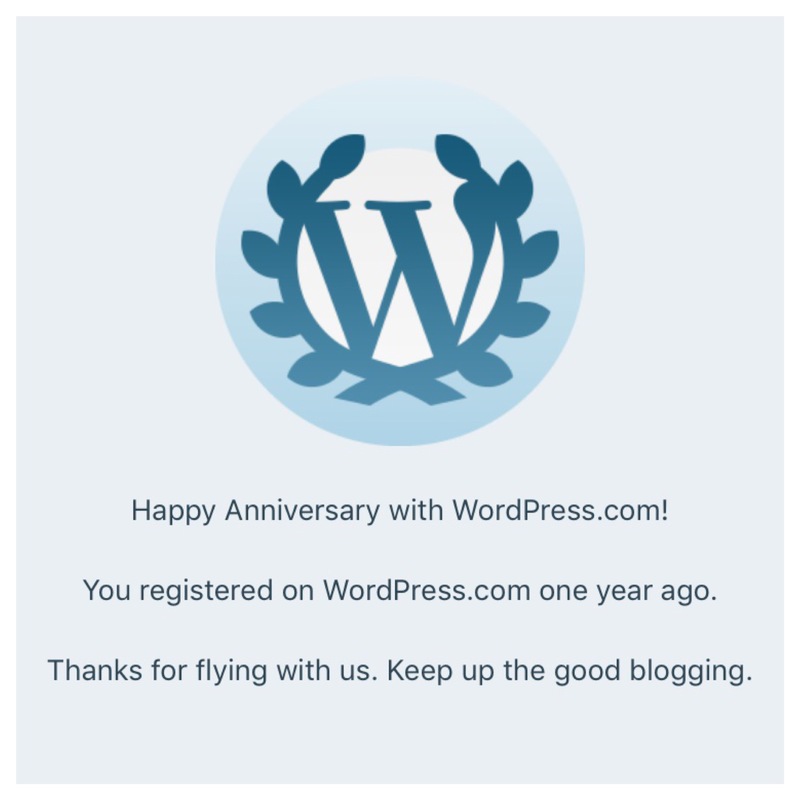 It is my 1st Blogging Anniversary. 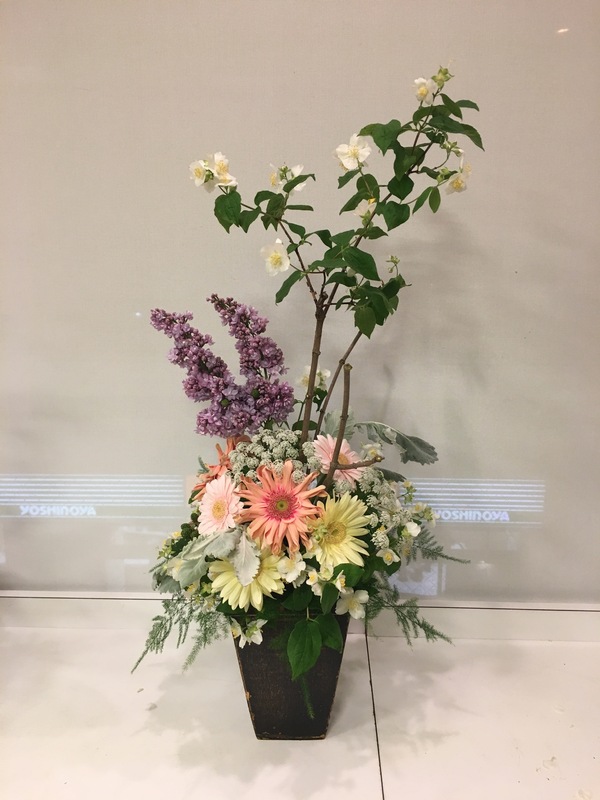 Today I try to look for a happiness in my normal daily life for blogging. It could be small; but it can enrich my heart. Simultaneously, I realize how important and difficult to deliver a message. YES, I’m happy I started last year and YES, I will continue blogging! 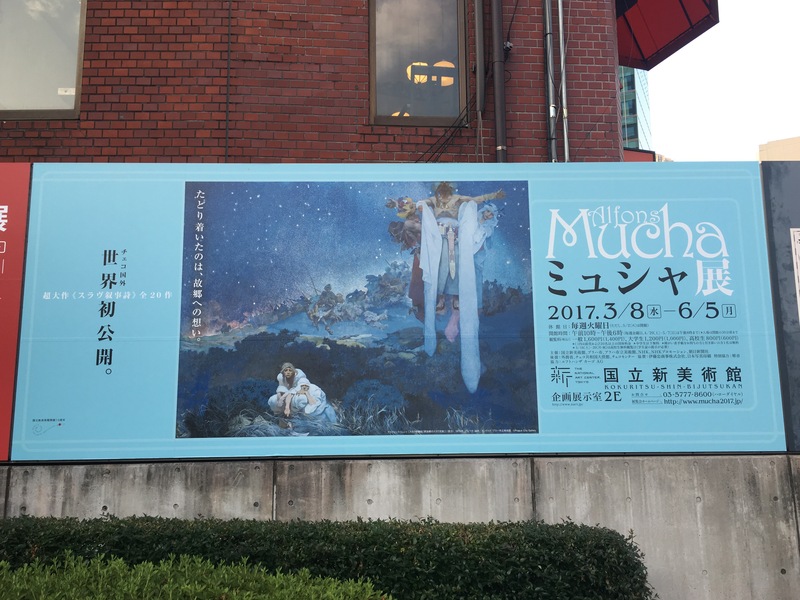 I went to the National Art Center, Tokyo to see Mucha’s art. He was a Czech painter. 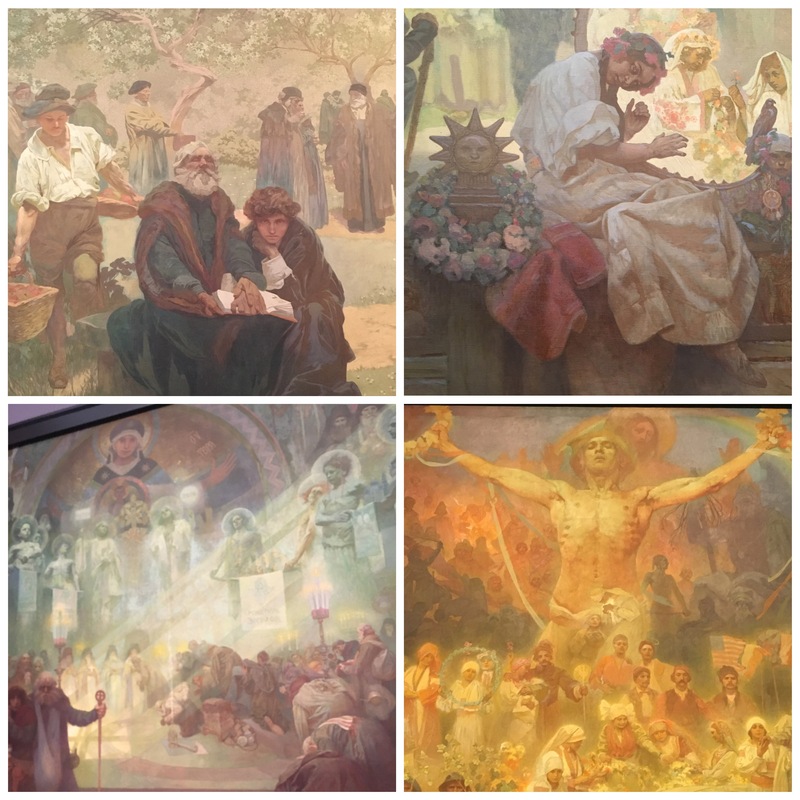 He painted many large sized paint (6 x 8 meters canvases) under a theme of Slav Epic, depicting the history of the Slav people and civilization. I just wonder how he structured these designs in his head to express on large canvases. I was allowed to take photos of few paintings; but I could not take a photo of a whole painting because there were many people standing in front of it. But even it’s partial, we can tell how talented he was. It is strange when we admire his paintings from distance, his paint grows as if there is a spot light lighting the area. On the other hand, his Art Nouveau is just breath taking; they are so beautiful. I’m glad that Mom asked me to go with her. Can you find a bunny? 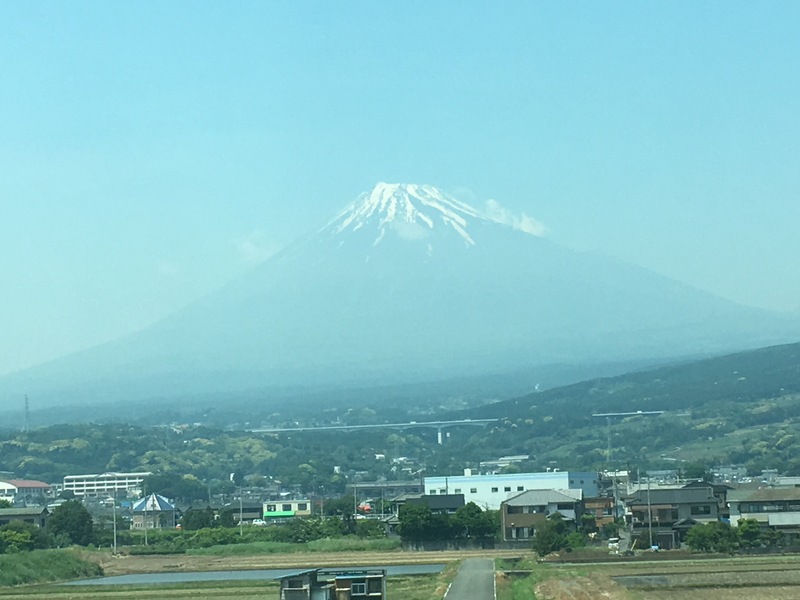 It’s Sunday, but we’ll start our programme early on Monday; we arrive Nagoya a day before. 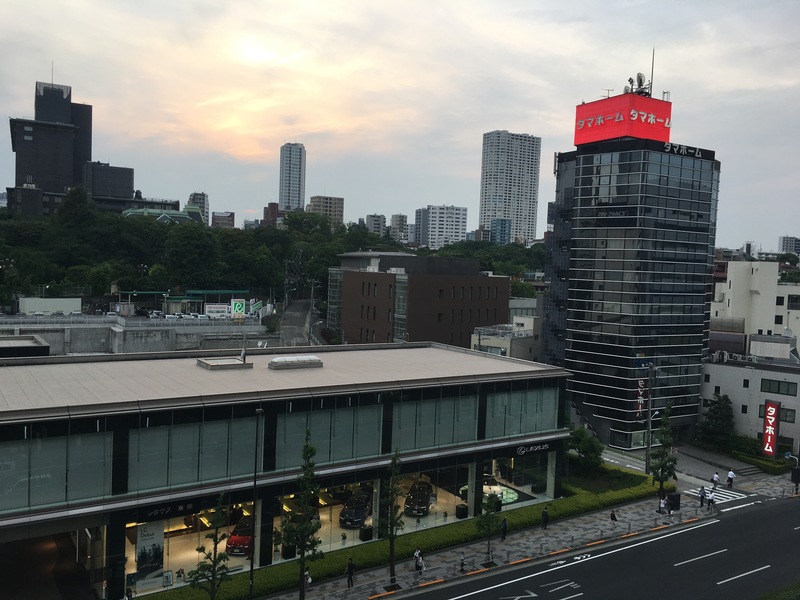 I’m staying at Nagoya JR Gate Tower Hotel. It’s new, convenient and functional. 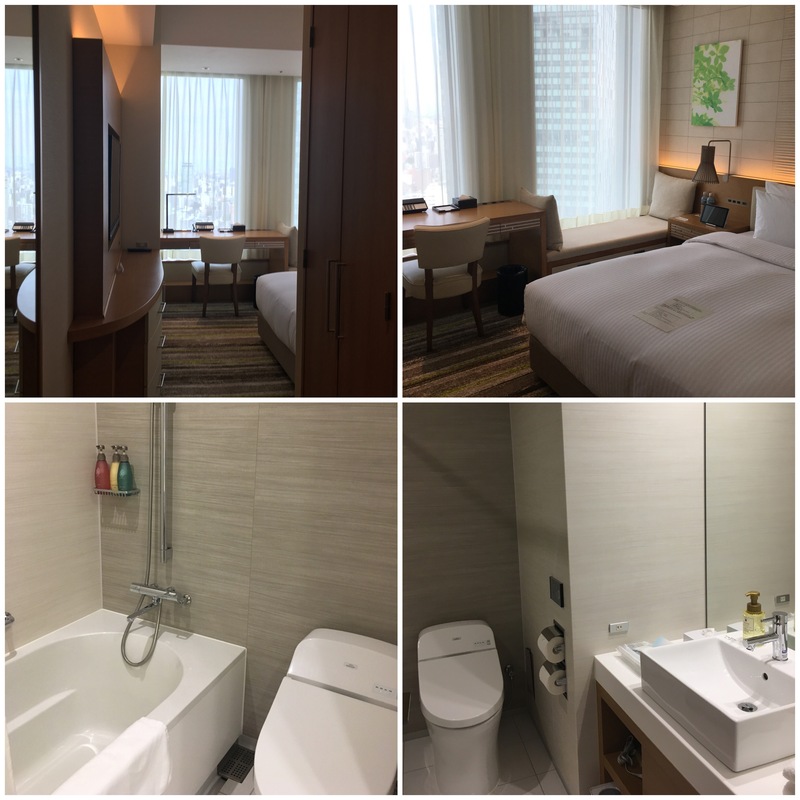 New – this hotel is newly opened on 17 April 2017. 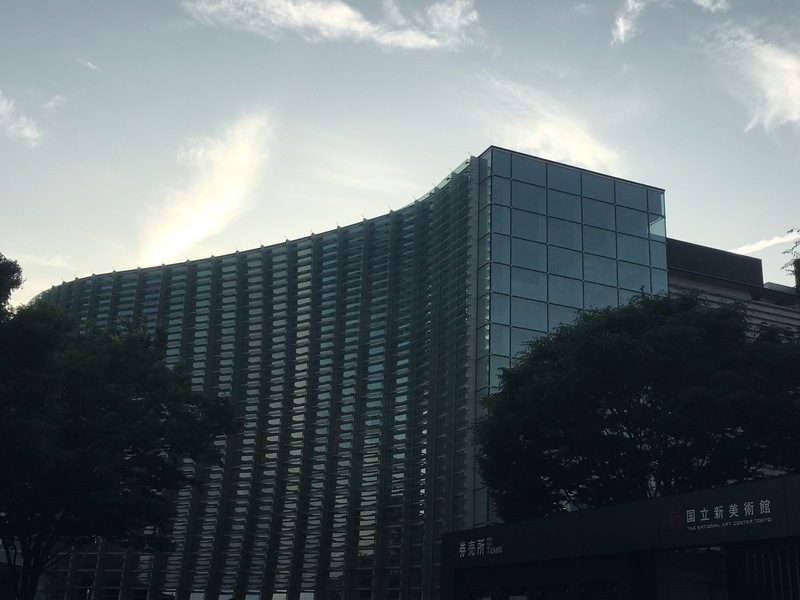 Convenient – it’s connected to Nagoya Station. 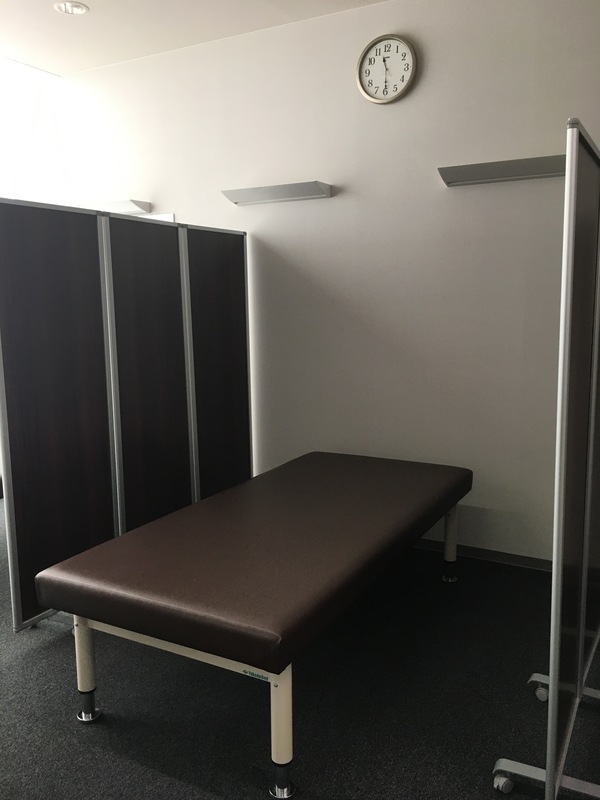 Functional – the size of room is only 20 sqm, but it’s functional. We can experience IoT world. 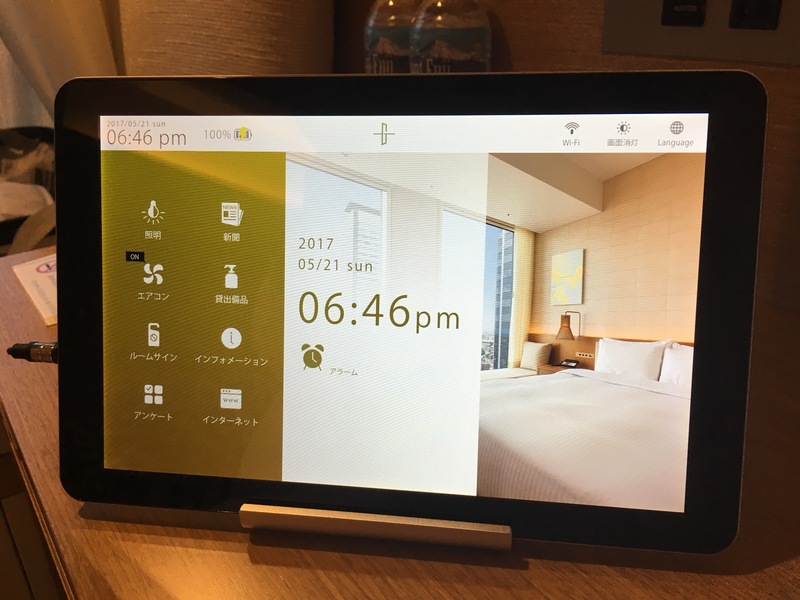 We can operate light, AC, etc from a tablet. 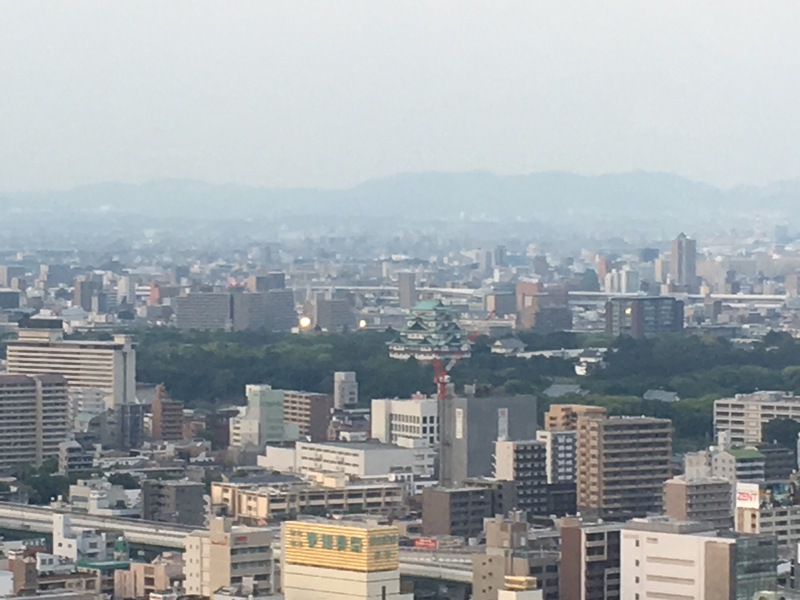 I’m lucky to have a Nagoya Castle View. This week I’ve been going to bed early; therefore, when I woke up today, I already felt fresh! 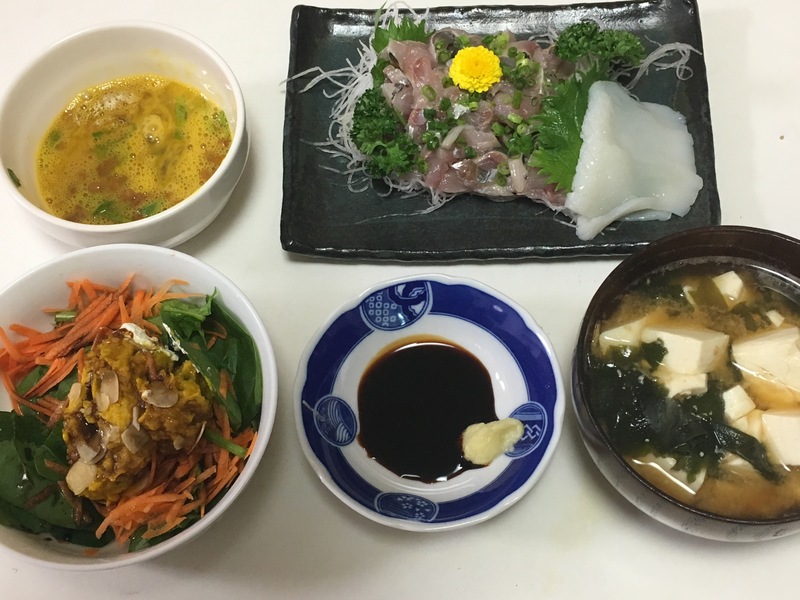 I went soba shop for breakfast. 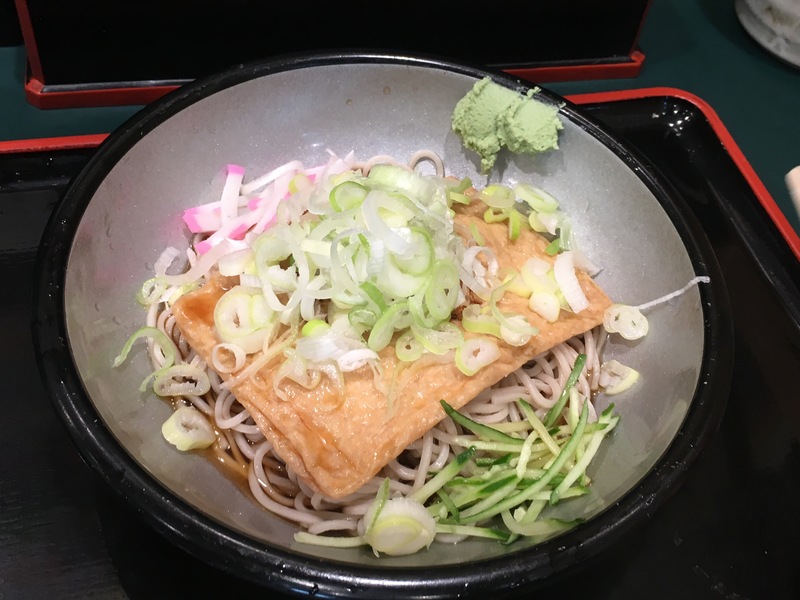 I had a bowl of Hiyashi Kitsune (Cold Deep-Fried Bean Curd Noodle). Nickname of this bean curd is Kitsune (fox) because we believe a fox that represent a guardian of area, messenger of shrine or god of harvest, likes this deep-fried bean curd. Then, I prayed at my shrine, Tenso-Jinja (Tenso Shrine). It feels good to pray in the morning when a town is still quiet. 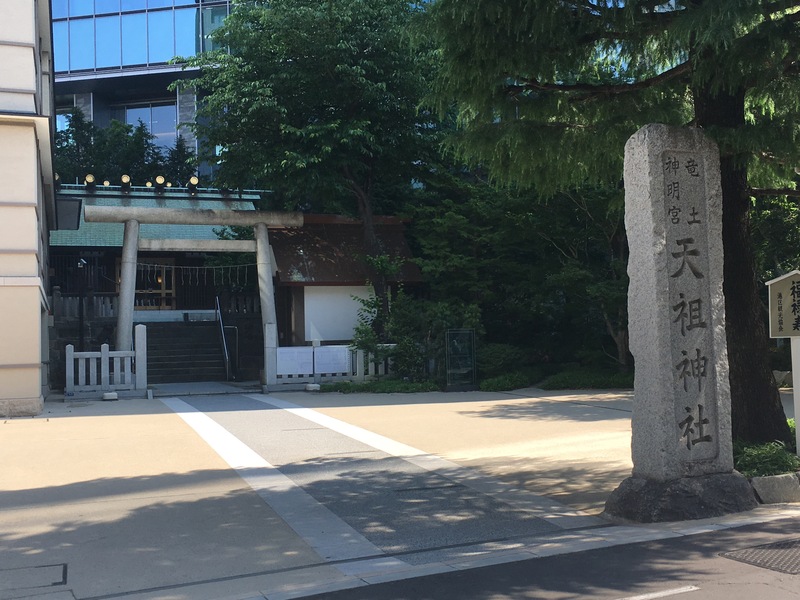 But as you can see, this shrine is located in the center of Tokyo, between highrised buildings. I got ready to go for body maintenance. Now I don’t have a serious pain, but there are many parts that need to be fixed: legs, organs, shoulders and head…? 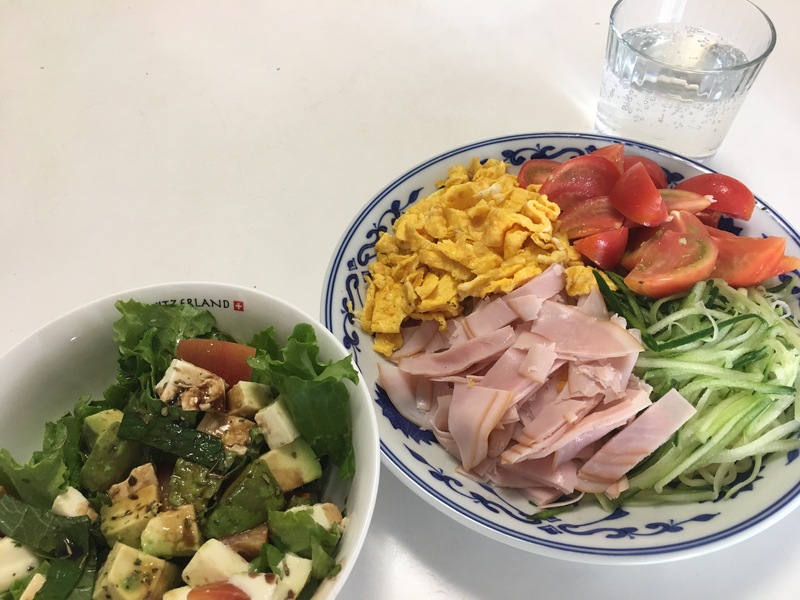 After refreshment, I cooked simple lunch: Hiyashi Chuka (Cold Chinese Noodle). I placed too much toppings over Chinese styled yellow noodle. 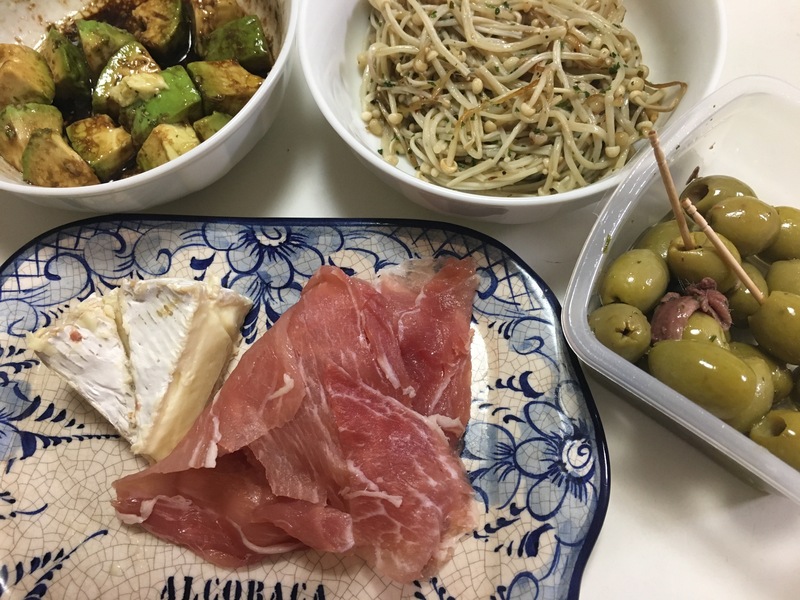 I’ve been eating well today; tonight’s dinner, it was tapas style (small dishes).